Rachel Walters always knew that she would enter a helping profession. Growing up with a police officer father, she appreciated the civic responsibility, unconventional shifts and poignant stories that her dad carried and shared with his family. When she won a Boettcher Scholarship in 2010, her choice to study nursing at the University of Colorado Colorado Springs was clear. Since graduating in 2014, Rachel has been living out her aspiration of helping others as a nurse and health care educator. 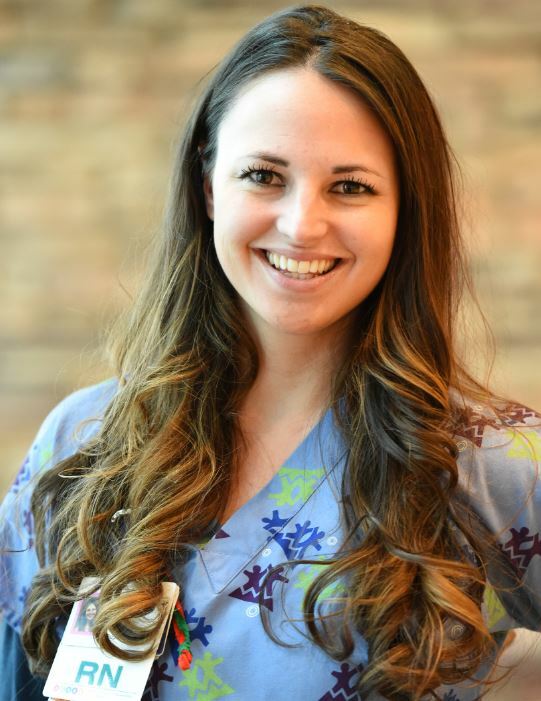 After two years of working in a Surgical Trauma Step-down unit with victims of accidents, stabbings and shootings, Rachel became a nurse in the Pediatric Intensive Care Unit at Rocky Mountain Hospital for Children in Denver in 2016. There, she oversees care for children of all ages with the most life-threatening conditions. As a nurse, Rachel believes her profession is not just about treating patients, but also helping families heal, even when the patient can’t. It’s these moments that lend Rachel perspective and remind her of her larger purpose in life. Beyond clinical nursing, Rachel is committed to developing the next generation of health professionals and treatments. For two years, Rachel has instructed sophomore nursing students at UCCS entering their first clinical rotations – an effort she approaches with a leadership lens. “I help my students find their strengths and weaknesses and uncover the reasons behind their decisions. Good nurses are self-aware leaders and effective followers,” she said. In addition to working directly in nursing and teaching, Rachel is a clinical educator for a medical device company, and trains nurses across the country on using products for IVs, pre-analytical sample collection and diabetes treatment. This position means Rachel has limited free time outside of work to devote to yoga, exploring, paddle boarding, hiking and audiobooks. However, unlike her high school years, she has found that being busy is not the best measure of success. Sharing victories and life with others is a common theme in how Rachel gives back. For several years, she has volunteered as a mentor with Royal Family Kids Camp, a faith-based, weeklong camp program for children in the foster care system. This summer, she is leading a group of high school students on a three-week international service trip to a developing country, where she’ll apply her nursing skills and oversee a community development project. 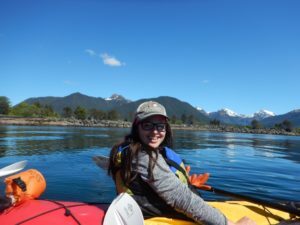 Though uncharted territory, this international experience is something Rachel is approaching with confidence and curiosity, mindsets she attributes in part to winning the Boettcher Scholarship.